First meet the 2015 Honda CBR600RR kindly supplied by Bransons Honda of Yeovil. 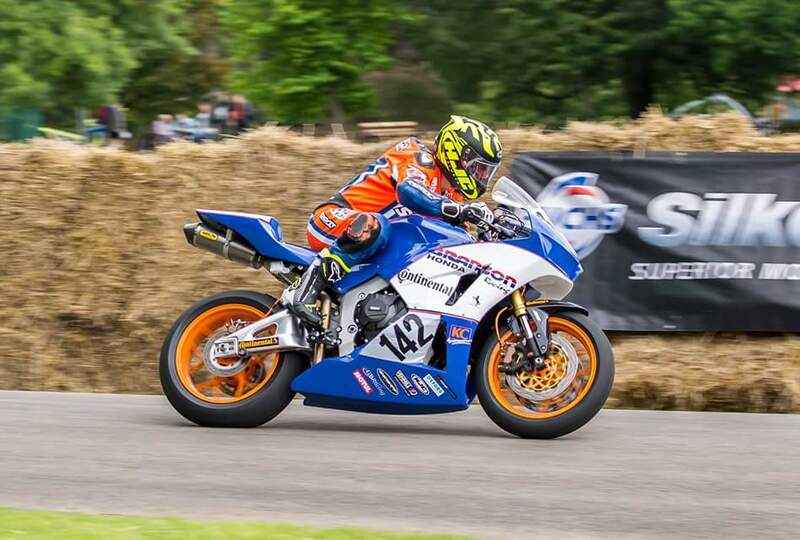 The eye catching road bike has been transformed into a lean mean Moody racing machine thanks to our sponsors Continental Tyres, GB Racing, Venhill, Skidmarx, Motul, Oxford Products and HJC, Scott Leathers, KC Autocolours of Witney and Meala Racing. Next is little Erin the CBR400 NC29, built by Islander Gav Brown to race on the Isle of man. This pocket rocket has been transformed with Dilligaf livery by KC Auto Colours of Witney and Pete Parry Decals wearing Conti rubber boots! Moody is shod in his Scott Leathers hide and Oxford Products HJC headwear!